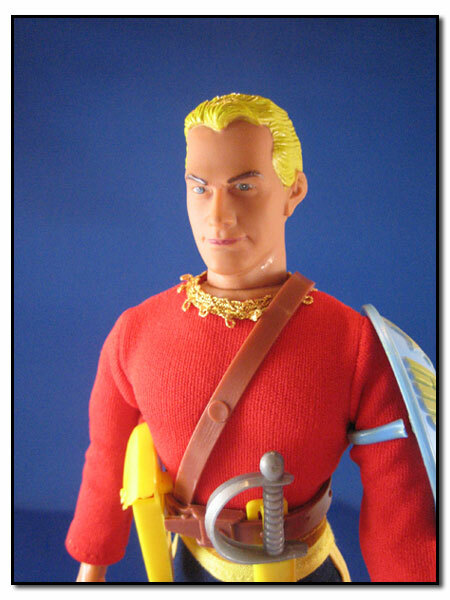 The Mego Flash Gordon has a great sculpt and like all of the figures in this series he comes with oodles of accesories. Pics of Rob Chatlin‘s collection by Scott C Adams. 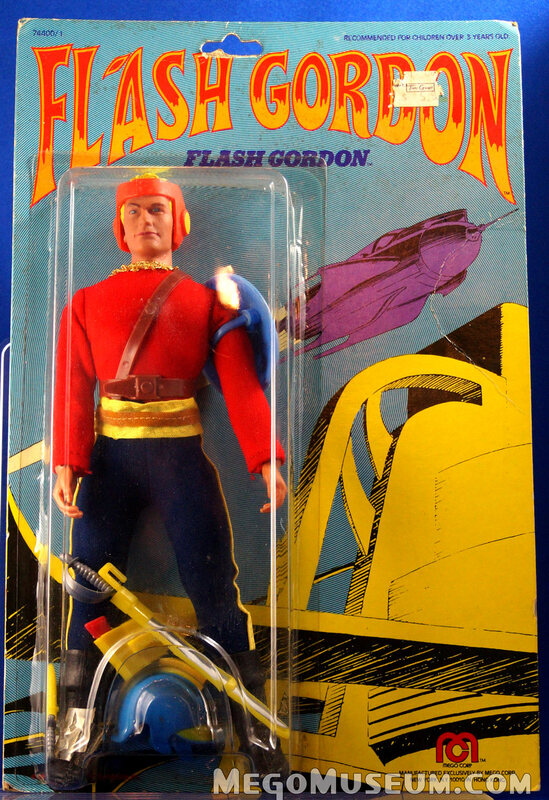 The Flash Gordon card art was no slouch either obviously using some of Raymonds original work. Both Flash and Zarkov wear the same brown belt with detachable shoulder strap. It has not been factory reproduced and is unique to these two characters. 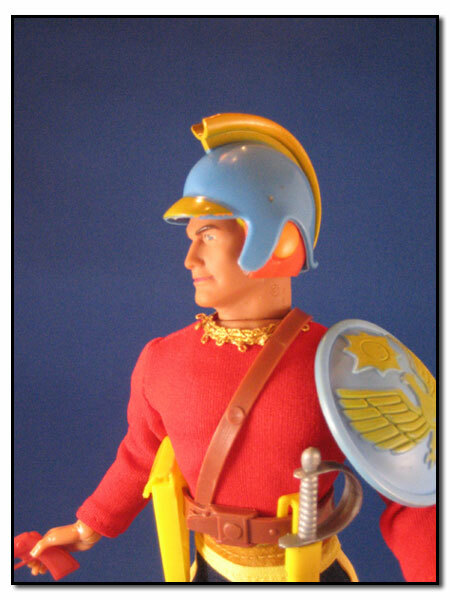 Flash and Zarkov share the same blue helmet. 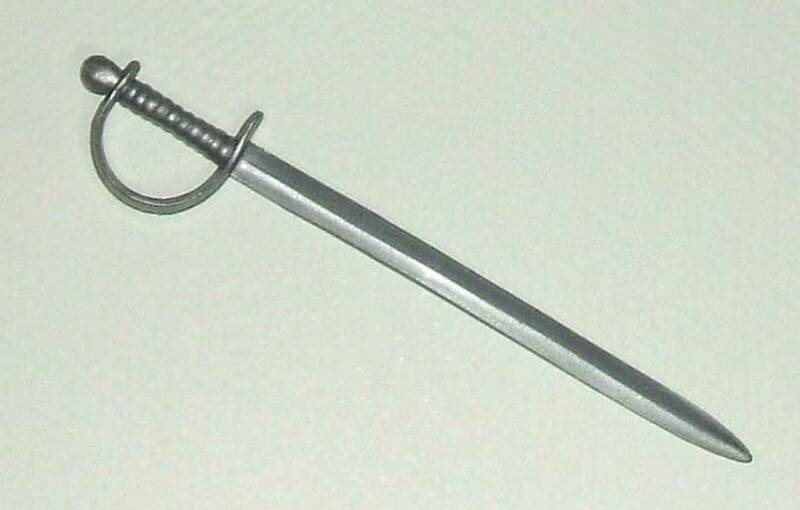 It has not been factory reproduced and is unique to the characters. Both Flash and Zarkov wear the same red headgear that looks like something a wrestler would wear. It has not been facotry reproduced and is unique to these two characters. 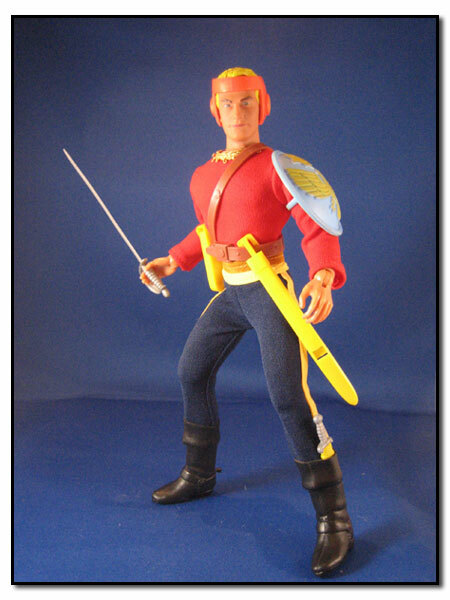 Both Flash and Zarkov sport a shoulder shield with a handle on the back. 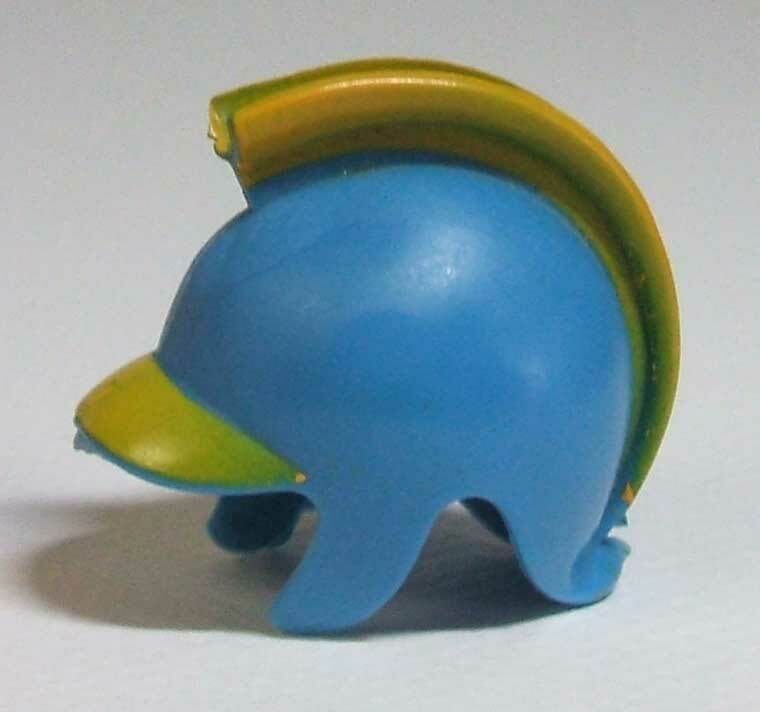 This shield is unique to these two characters and has not been factory reproduced. 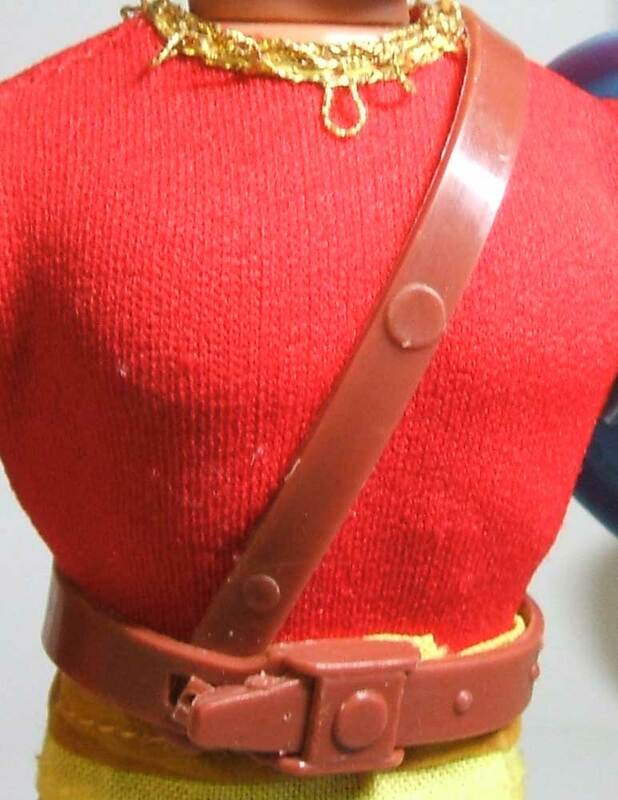 Flash, Zarkov and Dale all have the same yellow clip on the belt style holster. It also comes in brown, but only Ming should have the brown one. It has not been factory reproduced. Note- The holster should have a snap down flap. 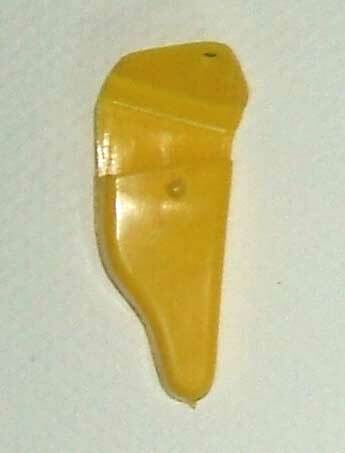 This flap breaks off easily and is often missing. 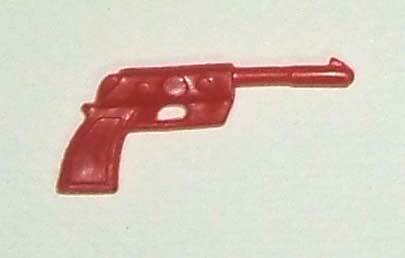 Flash, Zarkov and Dale all have the same red gun. 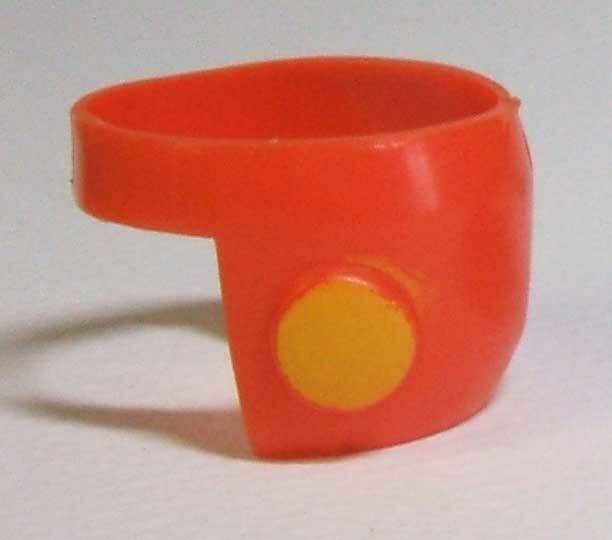 It also comes in yellow, but only Ming should have the yellow one. It has not been factory reproduced. Flash, Zarkov and Ming all carry the same sword. It’s wider than Dale’s and has a looped handle guard. It has not been factory reproduced. Flash, Zarkov and Ming all carry the same sword, so it makes sense they also carry the same yellow sword sheath to store it in. 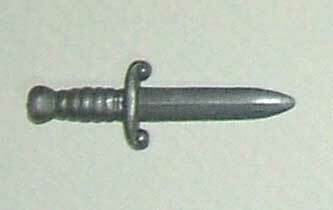 The sheath clips on the belt. It’s slightly different from Dales, just a bit wider. It has not been factory reproduced. Flash and Zarkov both carry the same knife. Dale also carries a blade, but the Flash/Zarkov version is wider than Dale’s. It has not been factory reproduced and is unique to these characters. Flash and Zarkov also have a sheath for their knife. Unlike Dale’s knife sheath, there is no belt clip on for the Flash/Zarkov version. It does slide into the boot rather nicely though. The knife sheath not been factory reproduced. Flash and Zarkov both wear the same style boots. 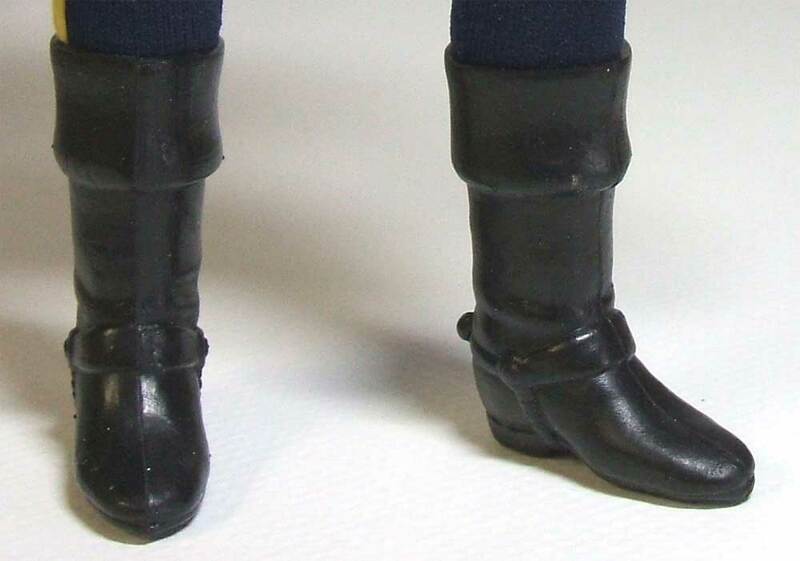 They are cuffed with a spur molded onto the boot. 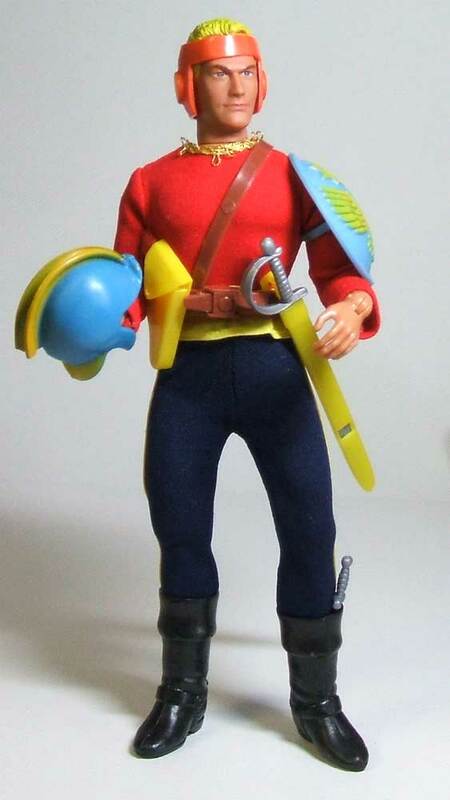 Boots in the Flash Gordon line are made of a very soft rubbery material, very different from the standard harder plastic Mego used on most boots in the 8″ lines. They have not been factory reproduced and are unique to these two characters.